That’s right. It’s another McDonald’s controversy. It’s no secret that civil rights and other issues concerning race in the United States are on everyone’s minds right now. The cases last year concerning what many believe to be the unlawful and tragic murders of Michael Brown and Eric Garner by police officers, as well as the controversy surrounding the film, “Selma” and its apparent lack of Academy Award recognition are just three of the stories that have been making headlines. McDonald’s is no stranger to controversy, and it could be facing federal retribution for violating Title VII of the Civil Rights Act. This past week, 10 previously employed McDonald’s workers joined together to raise their voices and stories as well, suing the McDonald’s corporation over a Title VII violation, which prevents discrimination in the workplace. The former employees, all from Virginia, said they were wrongfully terminated from their jobs last year and replaced with mostly white workers. The former employees all said they believe they were fired because of their race (nine of the workers are African American, one is Hispanic). Some said they were told that they did not fit the “right profile” the food chain wanted to represent. Others said that managers claimed there were “too many black people [working] in the store” and that one store was referred to as “the ghetto store.” While some workers were subject to racist taunts, many women also reported that they were sexually harassed while working. What makes this lawsuit so different than previous ones made against a franchised company is that in this case, the plaintiffs (the ten fired employees) are naming the McDonald’s corporation as a whole as the defendant in the case, as well as the individual franchise responsible for the stores where the alleged discrimination was committed. Should they? Or, as some people suggest, would such a decision ruin the franchise business model? Whether people realize it or not, we’re living in a time of great change in American history, where African Americans and Hispanics are demanding action against injustices that are still committed. McDonald’s has released many statements about how it values the welfare of its workers, but if the company truly wants to prove such a declaration, perhaps it should take responsibility for the crimes committed in individual franchises, especially if nothing is getting done any other way. 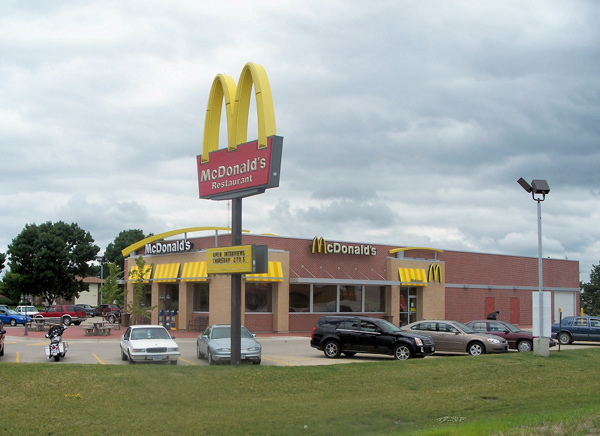 There’s only so much influence an individual McDonald’s store or franchise owner can have. An entire corporation has much more power to do a lot of good for its employees, especially a corporation with a market capitalization of $87 billion. While it’ll be up to federal courts to decide how to handle this case, the 10 plaintiffs suing McDonald’s deserve an incredible amount of recognition for demanding that their voices be heard in such an extreme way. We now can only hope that federal courts listen.